Many times a day I am asked, “Have we had our last frost?” Apparently I look like someone who should know the answer. While it is true I have quite a lot riding on the answer to that question, I have no greater knowledge of it than anyone else. I would like to know myself. I would love to say definitively that tonight is the absolute last chance of frost, but I don’t know that. While it may be likely that is the case, it is not certain. The only certainty weather-wise is the past. I am absolutely flawless when it comes to weather prognostications, past tense. So let’s briefly discuss what the weather has done. 107 years ago, the record was established for the latest freeze in Nashville, Tennessee. On April 25, 1910, not only was the latest freeze recorded but also the latest recorded measureable snowfall. Conversely, the earliest 90-degree day ever recorded happened only 8 years ago in 2011 on April 9. Our average last frost date is April 6. Now, nearly two weeks beyond that date, have we had our last frost? I have no idea. So when will then be now? Soon. This is the time of year where everyone is planting. Often the dilemma occurs as to whether to replace your soil or to revitalize it. 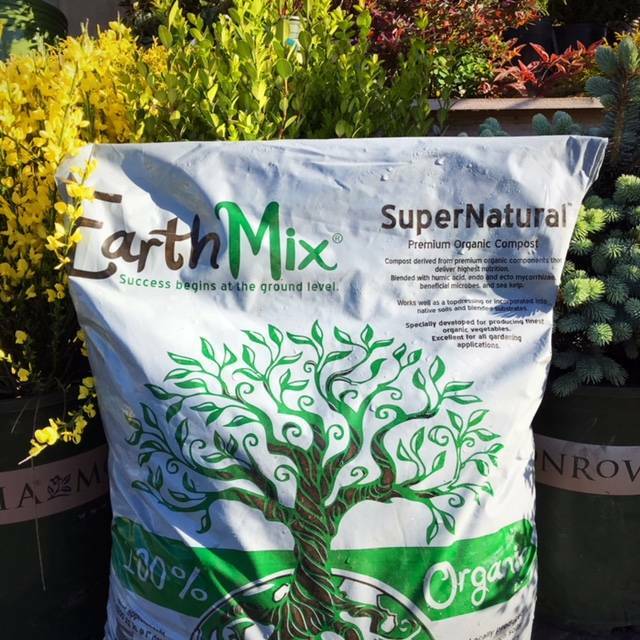 If you have decided to revitalize your soil, I suggest you give EarthMix® SuperNatural™ premium compost a try. So, why a premium compost, aren’t all composts the same? They are not. While it is true that most compost is made from organic materials, there is no set recipe. The overwhelming majority represents a random blend of whatever materials are available. Not bad, but not great either. EarthMix® SuperNatural™ is comprised of only top quality, locally sourced components. The recipe includes earthworm castings, leaf compost, wheat straw, poultry litter and other components. They’re blended and composted at our facility. Mycorrhizae fungi and humic acid are also added create this premium blend! It’s available in bags or in bulk quantities!